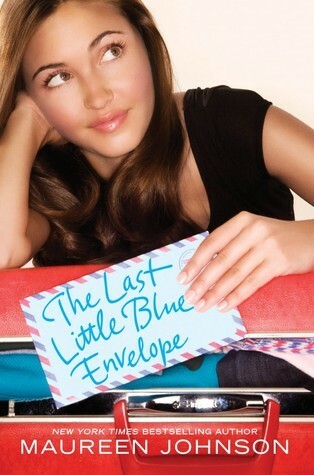 This is the great little sequel to 13 Little Blue Envelopes and I have to say it is another good read. The book picks up where the previous one left off, Ginny having returned home from her quest and trying to resume normal life. This however is not going to be able to happen anytime soon when the surprise reappearance of the 13th envelope starts causing trouble. With another swift round of talking Ginny is back on her way to England to complete the mystery tour that she began. I suppose this is a lot different than before, a more direct purpose, and having met people in England previously she is not being sent into the unknown. That makes a lot more sense if we try and include Ginny’s parents in this, absent through both novels they seem to be. It is less mystic than before, but in a good way, but it also adds a different kind of mystery, stranger than before rather than merely puzzling. What can be expected really when you are following the letters of an aunt who talks in cryptic codes and riddles? This time around there was more of a focus on the relationship aspect than the sites and the countries Ginny visits. Partly and most probably because there was only one letter to follow, and partly because it was more personal for a reason; not just for Ginny and Peg’s relationship, but for Ginny herself, and working through her own life and what she has been through. We are only given Ginny’s perspective throughout this book. If she does not witness something or feel something we are not given the information. This works in the context of the story as Ginny’s mixed feelings and confusion add to the narrative. It also makes it all about Ginny, and we see everything through her eyes in a more emotional sense rather than just following her around. There are new and familiar faces in this new adventure, something that is nice but also distracting. Unlike on her last trip where making friends seemed to be Ginny’s forte, she spends a lot of time analysing her travel companions, and you often get the feeling she focuses too much on them as people than she did before. Of course when you read it you understand why, however it becomes a weird understandable, yet still distracting, aspect of the story. It may be because of this that the ending unfortunately was a little bit of a letdown. Not so much as it failed, I rather liked where it ended up I thought Johnson had made the right choice there, however there were a few parts that felt unfinished about Ginny’s relationships. I have to say though as strange as these relationships were, Johnson does not fail her readers regarding the final letter. It is heart warming, heartbreaking, beautiful, magical, loving and so much more, all from a few simple words and thoughts. I said before Johnson manages to convey duel voices in these books well and she does it again. If you read the first one of course you have to read the concluding sequel, and if you haven’t read either you must begin because it is such a great little series that manage to make you travel the world without moving, think about life as you never have, and realise there is so much more happening than your isolated corner of the world. Though Johnson did highlight how fairly easy it is to find out information about someone and maybe even steal an identity if you felt like it. That was a rather interesting discovery. Aside from that you get another side of Europe and the United Kingdom, another set of interesting, unique, mysterious and troublesome people, and a new Ginny that continues to grow. A very good read indeed.